I spent the entire runtime of Some Girls trying to figure out what the movie was, and I'm still not remotely certain. The best description I can muster is: Victorian drama crossed with raunchy 80's comedy. That doesn't really convey the experience of the movie, though, since the description sounds inventive and fun. The plot... uh... Okay, I'll do my best here, but there's not a lot of meat to this thing. 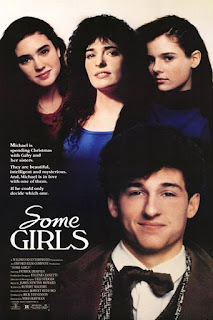 The movie opens with a voice-over from the film's lead, Michael, who's flying to Quebec for Christmas to reunite with his college girlfriend, Gabi, who dropped out due to her ailing grandmother, Granny. 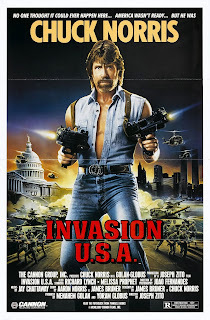 While Invasion U.S.A. isn't the worst movie we've seen for Mainlining Christmas, it could be among the most stupid. Almost every element of the film is awful. It's an idiotic piece of schlock crammed with every imaginable 80s cliche that astonishingly believes it has something important to say. Oh, and it's set at Christmas. The film stars Chuck Norris as Florida man, Matt Hunter, a former special... something... who's retired from a career killing bad guys in developing nations to a humble life of riding around the Everglades in an airboat. He's asked to come out of retirement when the government learns that a Soviet agent has aligned with communist terrorists from Central and South America in order to launch an assault on the U.S. Despite not having seen an episode since the early nineties, I actually remember Perfect Strangers fairly well. I recall the main characters' names, their relationships, and even the plots for several episodes. 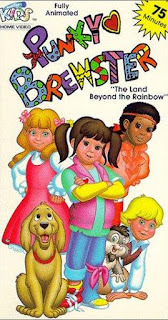 All that's a roundabout way of saying I was a little worried going into this - I have some lingering positive associations with this show from my childhood, and I was more than a little worried they were about to be shattered. I was pleasantly surprised to find that wasn't the case. Overall, I found both these holiday-themed episodes enjoyable. More significantly, Lindsay - who's never seen an episode before and is thus free of the clutches of nostalgia - agreed. Here's the thing - this is bad. Really bad, even. But, if I'm being totally honest, it was slightly less awful than I expected. That doesn't mean I liked it. In fact, I hated it. But I think I understand why the show caught on. This was, in short, quite a bit better than the episode of the rebooted "Fuller House" we saw earlier. That's not thanks to the writing. Although this one at least had some structure (Fuller House couldn't even manage that), the jokes were flat, and the emotional beats were hollow. It wasn't the characters, either - there was nothing about them that was in the least bit rounded. Despite having been the right age, I grew up disliking Pee-wee's Playhouse. I found the characters and sets off-putting as a kid, and I wasn't old enough to appreciate that was part of the point. 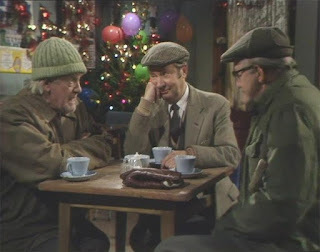 The 1988 Christmas Special seemed like a good chance to revisit the show and give it another chance. Ultimately, I was left torn on this one. 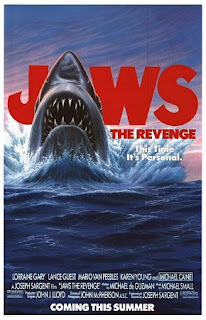 I have far more respect for the manic, surreal premise, and Paul Reuben's portrayal is certainly impressively bizarre. However, I couldn't shake the feeling that there was something missing tonally. I wanted to be pulled into that odd, unsettling world, but I could never shake the sense I was watching people and puppets act weird on TV. 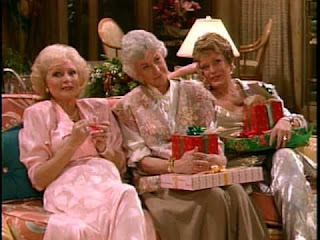 The Golden Girls was influential, remembered, and - in some ways - fairly progressive, but that doesn't mean it holds up all that well. 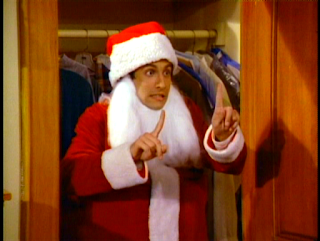 We found two Christmas episodes (there could be more - sometimes sitcoms set episodes over the holidays without calling it out in the title). Neither was especially bad (the first was fairly funny), but there wasn't much of significance, either. A lot of 80's sitcoms went for a sort of vapid inoffensive tone, even when they approached social issues (more on that in a moment). That was definitely the case here. The problems were minor, the stakes were low, and there was never a hint of suspense, even when the leads were being held at gunpoint. Sorry - getting ahead of myself. Every so often, I run across something that reminds me that despite a lot of overlap, Britain and America do not actually share one culture. After sitting through this incomprehensible mess, I discovered that the show went on for some 30-ish years... I can't even imagine. 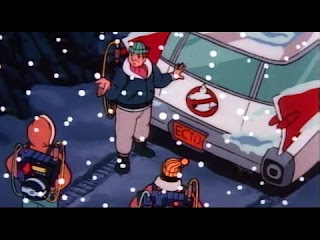 In this episode, they use Christmas as an excuse to try to reclaim their youth by playing pranks, doing various implausible physical feats, and reconnecting with old school chums. They reminisce about the old days, walk on their hands (obviously fake), jump off a (slowly) moving bus, and visit a few other men who aren't exactly pleased to see them. 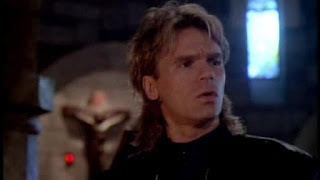 MacGyver has achieved a sort of immortality, though it's fairly limited in scope. The show revolves around the title character's skill for whipping up solutions to his problems using scientific know-how and odd combinations of everyday objects. His name has become synonymous with this trait. As far as I can tell, that's all the who is remembered for. If this episode's any indication, that's probably for the best. To be fair, this almost certainly isn't a typical episode of the series, which sounds like it changed quite a bit from season to season. This one's from the latter half of the show, after budgets were cut. And even then, it's less bad than ridiculous. 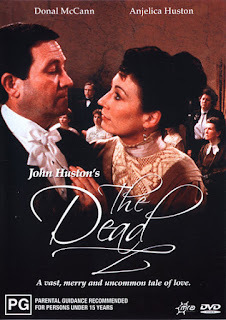 The Dead is an adaptation of a James Joyce story about an Epiphany party, which I suppose we're now annexing as part of Christmas (to be fair, January 6 would have been considered the conclusion of Christmastime when the movie was set, a fact outright stated in the film). This is John Huston's last film before his death, and it seems to be widely beloved with a 92% Freshness rating and several honors. While this isn't unfair - the movie is well constructed and acted - it's definitely not for everyone. For example, it definitely wasn't for me or Lindsay: we found it boring as hell. 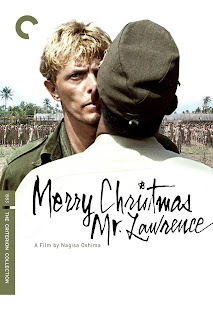 Merry Christmas, Mr. Lawrence is a Japanese/British film about a POW camp during World War II directed by the controversial Japanese film maker Nagisa Oshima. I have a few complaints, but overall it's a well-made, engrossing movie exploring some fairly large questions about culture and human nature. The movie centers around four characters: two prisoners and two jailers. The titular Mr. Lawrence is the sole English character who speaks both languages, and he has a fairly good grasp of Japanese culture. Also held prisoner is a South African soldier, Jack Celliers, notably played by David Bowie, who the camp commandant, Captain Yonoi, becomes obsessed with. Also key is Sergeant Hara, a man who oscillates between cruelty and compassion. Raise your hand if you liked Garfield as a kid. It’s okay, don’t feel too bad, we’re right there with you. I used to watch this show, but Erin remembered this exact episode, in that spooky way where every line comes into your brain right before it’s spoken. 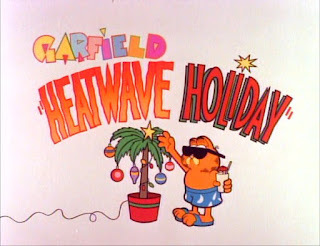 If you missed this series, it’s made up of super-short bits that are more-or-less animated versions of actual Garfield strips and short cartoons with slim plots. Some of the pieces are Garfield, and the others are “U.S. Acres,” a property which, until this moment, I assumed only existed on this show. No, apparently this was a second comic strip by Jim Davis, and it was limping to the end of its not-critically-acclaimed run around this time. 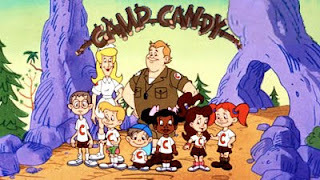 Camp Candy was, apparently, an animated series where John Candy voices a character based on himself at a fictitious summer camp he runs. I don't recall ever having seen or heard of this series before in my life, though if I still remember this episode an hour from now, I'll be both surprised and disappointed. 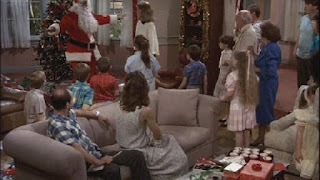 The Christmas in July episode opens the same way Wikipedia assures me every episode in this series starts, with Candy trying to teach the kids a sport, leading to a flashback of something that happened earlier in the summer. This is portrayed as a story being told by Candy, though it's unclear why he's telling the kids about an adventure they were present for. It's also unclear how he's able to provide descriptions and commentary for other characters' dream sequences. Actually, this episode features dreams within dreams within a story. But don't get excited: it was all crap. 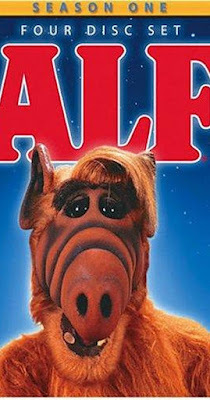 This is the first of two ALF Christmas episodes. We actually did the second one, a double-length special, back in 2010 when we started this blog. For those of you who didn't just click on that link, let me sum up our feelings: we hated it. Despised it, in fact: it was sappy, cliche, and just plain idiotic. With those kinds of expectations, it shouldn't be a huge surprise to hear this episode from the series's first season was better than I anticipated. That's not to say it was good - but, compared to the show's more ambitious attempt, mediocre is a huge step up. It probably helped that this was earlier in the series. Just as shows with great premises and talented writers tend to get better as they go, those with uninspired concepts and weak writers have a tendency of burning through their one-note jokes almost immediately. No surprise, really. 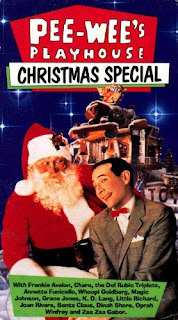 At some point, Rankin-Bass must have had a committee pawing through lists of holiday songs: "Has anyone made a special out of this one? This one? Oh, how about Christmas in Killarney? What do you mean the song has no story? We'll write something. 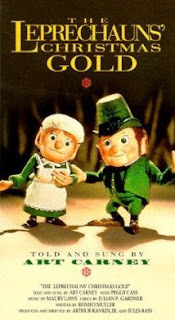 Ireland is all about leprechauns, right?" 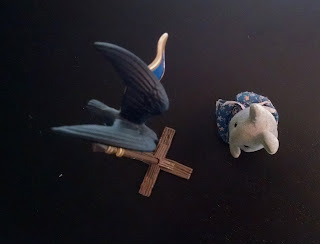 And so, we have this odd little half-hour of mediocre stop-motion. 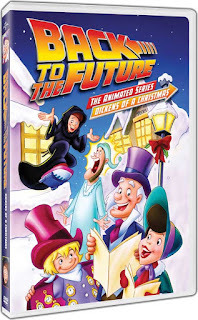 When a company famous for holiday specials has some you've never heard of, you know they’re going to be weirdly awesome or boring and dated. Guess which coin flip we lost today. This is book number twelve in the Cadfael series, but I jumped ahead to it because it's set explicitly at Christmas. Premise: In 1141, a new priest comes to the town outside the abbey. He is harsh with the people and quickly makes enemies. The woman and young man who came into town with Father Ailnoth are not who they say they are, and all mysteries must come to light after a violent death on Christmas Eve. I've very much enjoyed all of the Cadfael books I have read, although this one seems to retread some ground. Cadfael's friendship with and patronage of the young couple particularly, is a repeated thread in more than one of these stories. It's still an enjoyable yarn, with the final solution to the mystery held secret to the end, despite how steadily pieces are revealed.